If you are looking for Halloween inspirations this is the right place. 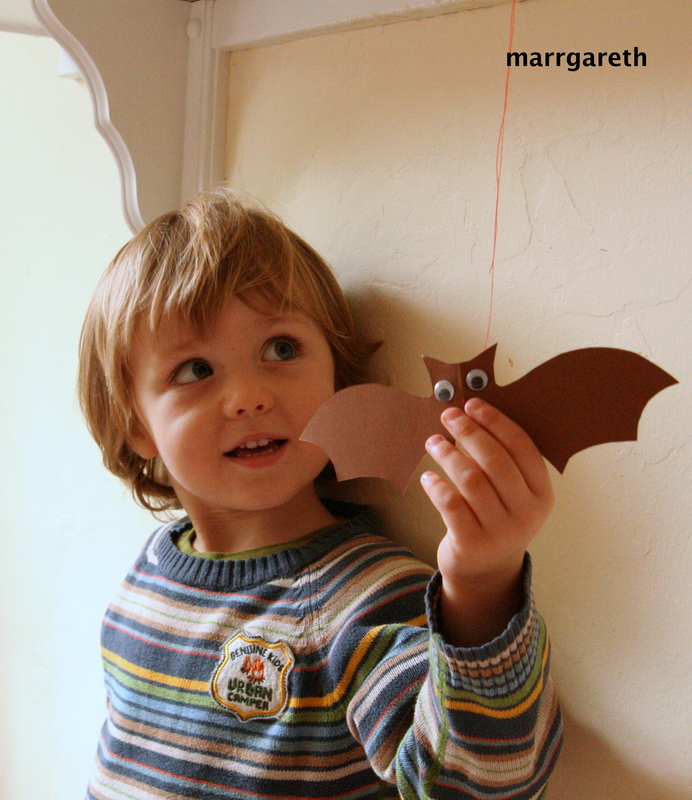 Very easy project, although a bit more advanced that Bats – Halloween window decorations. My almost three years old son was pleased with this project. Look at the results of his work. Before you start the project make sure all needed materials are ready and keep in mind that the atmosphere at work with children has to be nice. Each child has different abilities, be patient. If you think that something is too difficult for your child, just help him, but try not to do everything yourself. You can find the pattern (no 1) of the bat here. 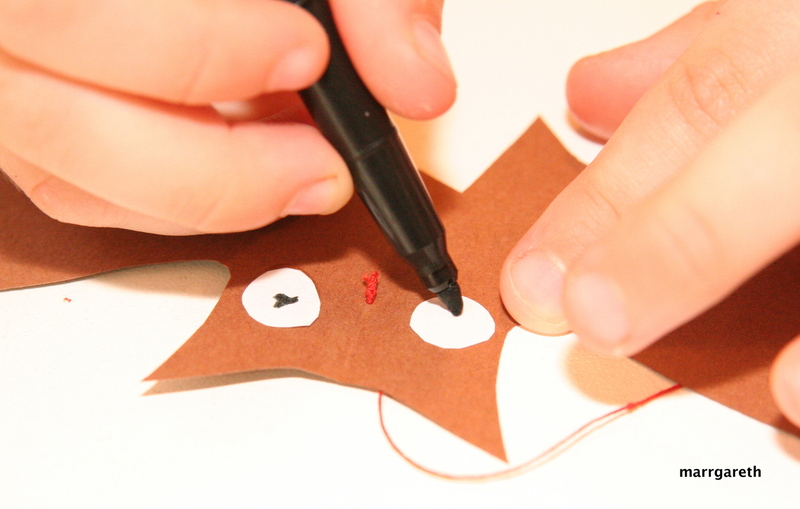 Fold a piece of paper in half, then trace the shape of a bat as I presented in my other post here. Cut out the bat. 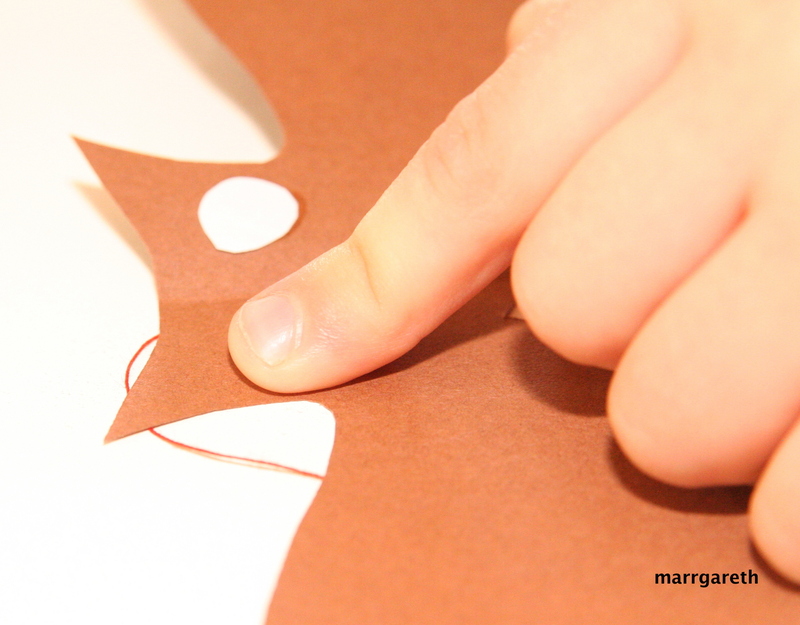 If your child is able to operate with scissors let it do it, otherwise cut them out by yourself. 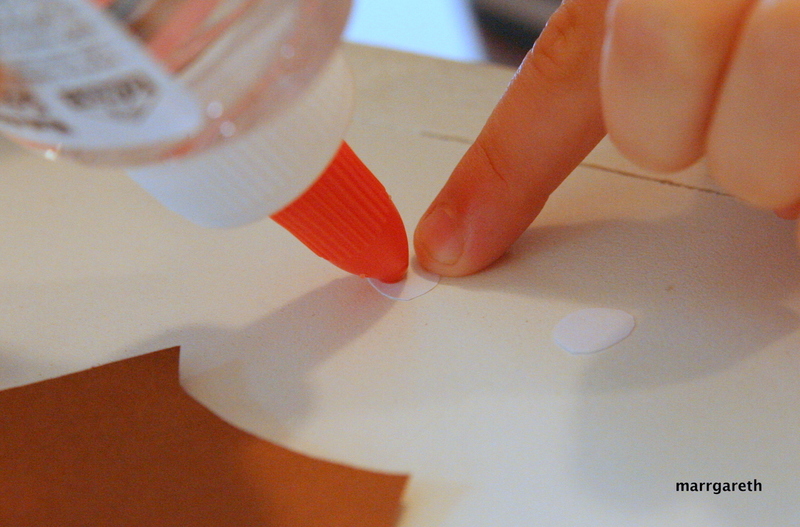 Cut out small circles from a white paper, which later will make up the eyes or you can use eyes – stickers. 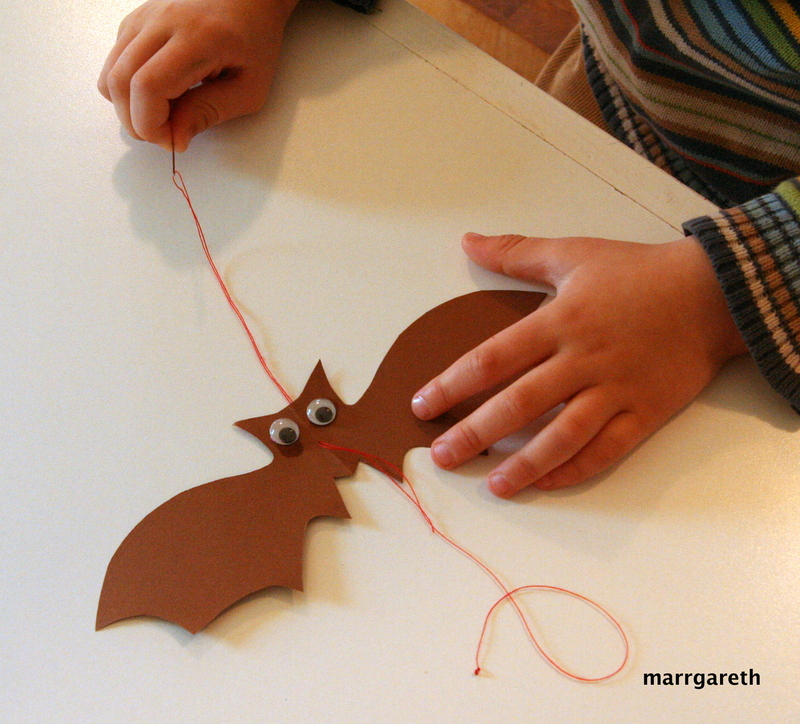 Let your child glue the white dots (eyes) to the bat shape. Using a black marker draw the pupils on white dots. Isn’t that easy?! advanced way – using a threaded needle, for older children. If you are going to use a threaded needle, do not forget to make a knot at the and of the thread and of course make sure that the thread is long enough, let’s say, about 1 meter long for a single bat. When the thread is attached to the bat it might happen that the bat is lopsided. Do not panic, you can balance it with a small piece of tape sticked to the bat, near the place where the thread is attached. 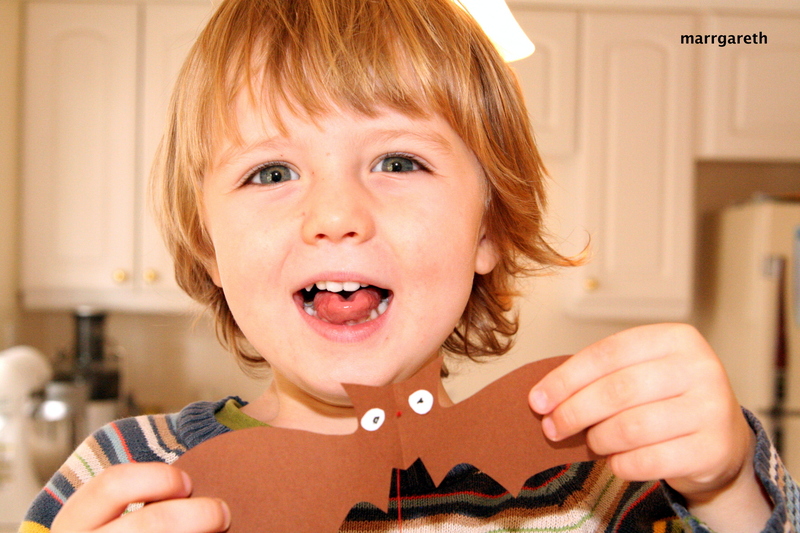 This task might be quite difficult and I would recommend this ‘fun job’ to the parents or older kids. 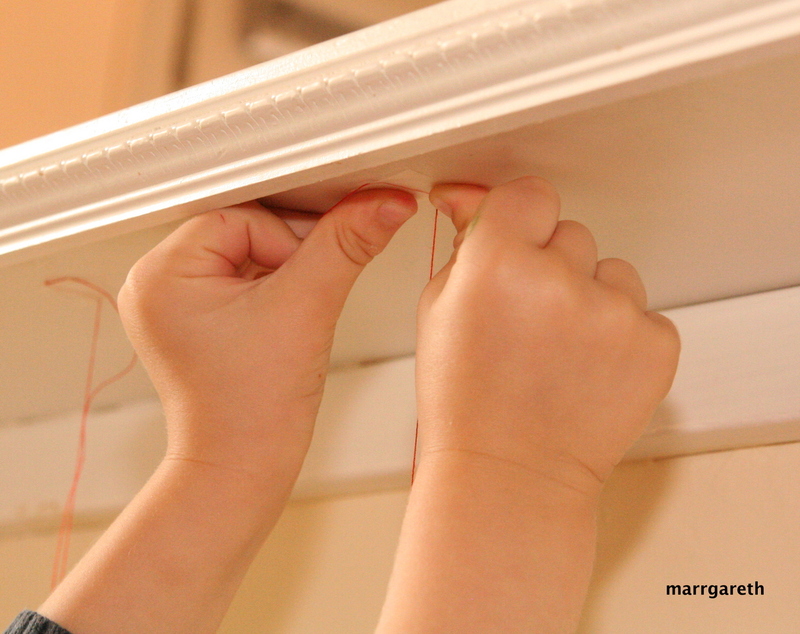 Now, choose a place in your home, such as a ceiling over the bed and using tape stick your bats there. That it a happy child’s face!